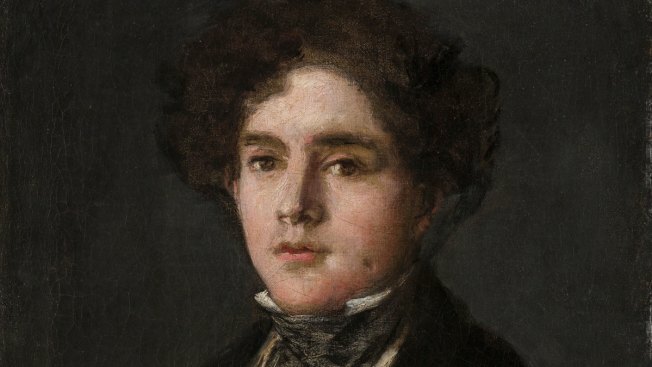 One of Francisco Goya's last paintings, a portrait of his only grandson, has been acquired by the Meadows Museum. The portrait of Mariano Goya from 1827 will be unveiled to the public Friday at the museum on Southern Methodist University's campus in Dallas. "The Meadows Museum is a point of pride for SMU and this new Goya acquisition adds to the strength of the museum's distinguished collection," said SMU President R. Gerald Turner. "We are grateful to The Meadows Foundation and Mrs. Eugene McDermott for their generosity in making this outstanding acquisition possible." The work is one of fewer than a dozen portraits known to have been painted by Goya between 1820 and his death in 1828 at the age of 82. It shows a portraiture style marked by simplified compositions that Goya developed late in his career, after he stopped doing commissioned portraits. The portrait, finished just months before Goya's death, was previously owned by a private collector and hasn't been on display for more than 40 years. "The Meadows Museum will celebrate its 50th anniverary in 2015, and the acquisition of this extraordinary work by Goya is a wonderful way to begin that celebration," said Mark Roglan, director of the Meadows Museum. "Mariano's image possesses an ethereal quality that softens his features and hints at Goya's deep love for his grandson." The museum focused on Spanish art didn't disclose the purchase price.